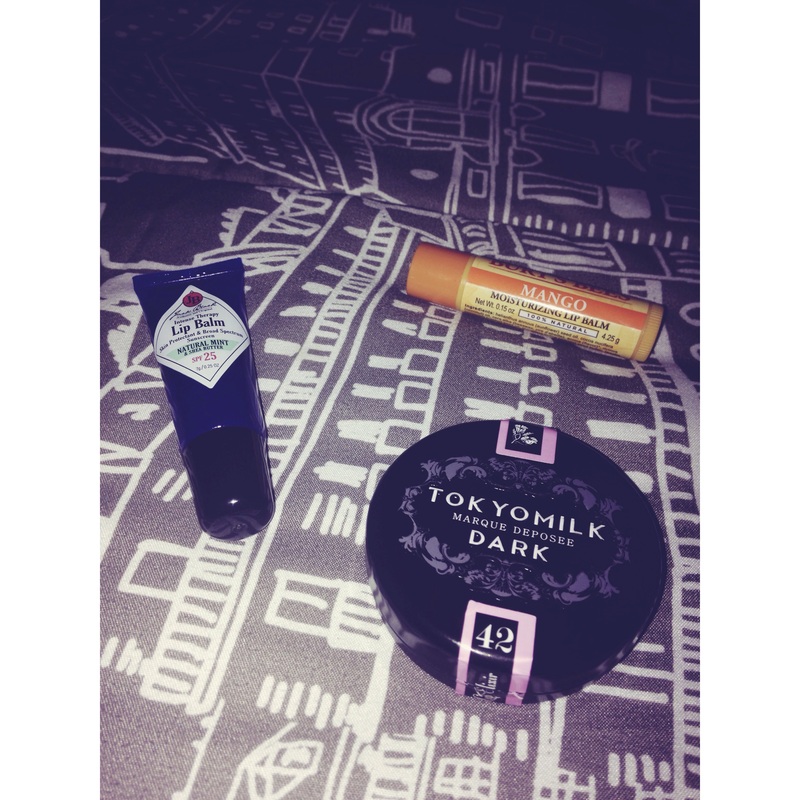 My favorite lip balms are Burts bees, Jack black, and tokyomilk 🙂 The jack black one I own is minty, Burts bees is mango (I’ve tried all of them except for the vanilla), and tokyomilk is called “la Vie En Rose” which I mainly bought because it reminds me of the song written and sung by Dodie Clark. Absolutely adore it. *Note: TokyoMilk is no longer a favorite because for whatever reason it broke me out? I always had a spot right next to my lip after I used it- and I tried it multiple times. Sadly, it didn’t work for me, so I do not fully suggest it anymore.